Our leadership team and advisory board are comprised of preeminent scientists and experienced thought leaders who are passionate about helping you drive results, unlock potential, and maximize value by taking full advantage of continuous flow technology. Collectively, our team has advised many leading pharmaceutical companies and chemical manufacturers on their most important chemistry challenges. Matthew Bio brings substantial experience in process development to Snapdragon Chemistry and is driven by a passion for developing new technologies in organic synthesis; enabling safer, more efficient processes; and providing access to new chemical architectures. Matthew earned his Ph.D. in Chemistry from Columbia University and went on to work as a process development chemist at Merck Research Laboratories. In 2006, Matthew moved to Amgen, where he was promoted to Director of Process Development and led the development of both batch and continuous processes for clinical candidates. Throughout his career, Matthew has been involved in the development of more than 50 clinical candidates and the launch of three new drugs to the market, and is author or inventor on numerous regulatory filings and more than 30 peer-reviewed publications and patents. Eric Fang drives a rigorous and fundamental approach to chemical process development at Snapdragon Chemistry. As Chief Scientific Office Eric oversees all projects and guides solution delivery by building deep understanding of all projects through kinetic and thermodynamic analyses. Eric completed his Ph.D. in Organic Chemistry at the University of Toronto under the direction of Professor Mark Lautens. Subsequently, Eric worked with Professor Eric Jacobsen as an NSERC postdoctoral fellow at Harvard University where he focused on asymmetric catalysis and natural product synthesis. He began his industrial career at Amgen in Small Molecule Process and Product Development. He quickly rose in levels of responsibility while developing elegant synthetic routes and bring new process technologies to many complex molecules in Amgen's pipeline. Eric is passionate about the tremendous power and opportunity Snapdragon's core technology brings to the development and application of continuous synthetic routes to complex molecules. A world-renowned expert in flow chemistry, methodology development, and organic synthesis, Tim Jamison founded Snapdragon Chemistry with a vision to enhance the entire drug discovery >> development >> manufacturing value chain through flow chemistry. With a career spanning over 15 years as a Professor of Chemistry at the Massachusetts Institute of Technology (MIT), including as Department Head of Chemistry, Tim has advanced the organic chemistry field with over 125 academic publications. Tim is also a key scientific leader in the Novartis-MIT Center for Continuous Manufacturing, where he makes fundamental contributions to the initiative with his expertise in flow chemistry. In addition, he has worked with numerous pharmaceutical companies to solve some of their most difficult chemistry challenges that arise in their drug discovery/development efforts. Aaron Beeler is an Assistant Professor of Chemistry at Boston University and, prior to that, was Associate Director of the Center for Chemical Methodology and Library Development at Boston University. Aaron has authored 31 publications and has 2 patents. In addition, he has made fundamental contributions to flow chemistry and medicinal chemistry and shares in the same vision as Tim of transforming drug discovery/development through flow chemistry. Aaron’s research has contributed considerably to the development of unique reactor designs in flow chemistry and has enabled, among other things, photochemistry to create unique building blocks that greatly expand the medicinal chemists’ toolkit for discovering more effective medicines. 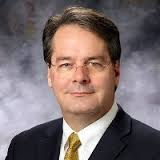 Christopher J. Welch is Chief Scientific Officer for Welch Innovation, LLC, an independent research and consulting firm located in Cranbury, NJ USA. He received a Ph.D. degree in Organic Chemistry from the University of Illinois at Urbana-Champaign, under the direction of William H. Pirkle. Dr. Welch has worked in a variety of fields within the chemical industry, including discovery synthesis of agrochemicals (Velsicol-Sandoz), development of reagents for improved immunodiagnostic assays (Abbott Laboratories), development and commercialization of chromatographic stationary phases, reagents and enantioselective catalysts within a small chemical business environment (Regis Technologies) andthe invention and application of new purification, analysis and high throughput experimentation technologies for pharmaceutical process research (Merck & Co.). While at Merck, Dr. Welch also created and administered Merck’s postdoctoral research fellows program and managed a multi-million-dollar fund and research network that identified, evaluated and acquired more than 300 new enabling technologies for pharmaceutical discovery and development. Dr. Welch has authored more than 250 scientific publications and patents. He is co-founder of the journal, Enantiomer, a member of the editorial advisory board for the journals, Chirality, Journal of the Korean Chemical Society, Chemistry World and ACS Central Science. He is past chair of the ACS Division of Organic Chemistry (ORGN), a member of the Executive Committee for the International Symposia on Chirality and the PittCon Program Resource Team, vice-chair of Pacifichem 2020 and co-founder of the Enabling Technologies Consortium (ETC). He has received honors and awards including the NJCG Award for Excellence in Chromatography, the PACS Activated Carbon Hall of Fame award, Merck Research Laboratories Presidents Award for Environmental Achievement, Microsoft Life Science Innovation Award, Fellow of the American Chemical Society, Fellow of the American Association for the Advancement of Science, the Chirality Medal, the University of Nebraska Chemistry Industrial Award and the EAS Award for Outstanding Achievement in Separation Science. Klavs Jensen is Department Head and the Warren K. Lewis Professor of Chemical Engineering at the Massachusetts Institute of Technology (MIT). Professor Jensen is a leader in continuous manufacturing and flow chemistry and a Principal Investigator in the Novartis-MIT Center for Continuous Manufacturing. He has won, among numerous other honors and awards, the prestigious R.H. Wilhelm Award and the William H. Walker Award for Excellence in Contributions to Chemical Engineering Literature, both from the American Institute of Chemical Engineers. He was elected into the National Academy of Engineering in 2002 and the American Academy of Arts and Sciences in 2008. Steve Buchwald is the Camille Dreyfus Professor of Chemistry at the Massachusetts Institute of Technology (MIT) and is an expert in new chemical reaction methodology/development. His academic career has spanned over thirty years, during which he has co-authored over 420 academic publications and has 44 issued patents. His numerous honors and awards include the 2013 Arthur C. Cope Award from the American Chemical Society, the 2014 Linus Pauling Medal Award, and the 2014 BBVA Foundation Frontiers of Knowledge Award in Basic Sciences (awarded in 2015). He was elected as a fellow of the American Academy of Arts and Sciences in 2000 and as a member of the National Academy of Sciences in 2008. Professor Buchwald also serves as a scientific consultant to many companies and is an associate editor of Advanced Synthesis & Catalysis. Andrea Adamo is the CEO of Zaiput Flow Technologies — a leading continuous flow equipment design/manufacturing firm — and an entrepreneur with extensive experience in the development of innovative engineering solutions. Dr. Adamo holds a Master of Science in Engineering from the University of Palermo, Italy and a Ph.D. in Fluid Mechanics from the University Federico II of Naples, Italy, in addition to a Master of Science from the Massachusetts Institute of Technology (MIT). He was also awarded a Fulbright Scholarship. After completing his graduate studies, Dr. Adamo joined the laboratory of Professor Klavs Jensen, in MIT’s Chemical Engineering Department. He worked in the Jensen Group first as a post-doctoral associate and then as a research associate. In these positions, Dr. Adamo gained extensive experience in the design and manufacturing of innovative microfluidic and millifluidic systems.